Part 2 - How Much Sand? 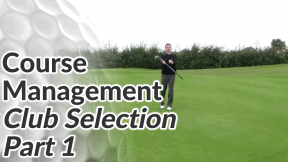 In this 2-part golf course strategy guide, we’ll cover some of the shot-making decisions you’ll be faced with at various times on the golf course. 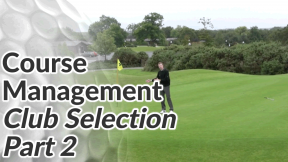 Golf course strategy skills (or course management skills as they’re also known) are all about using the skills you already have to improve your scores and play to your best potential. 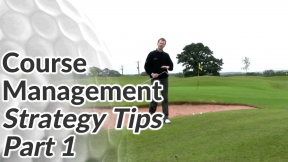 There’s a bunker between the ball and the pin, with little room to land and stop the ball. The golf ball is also sitting on quite a tight lie and a sloping lie as well. 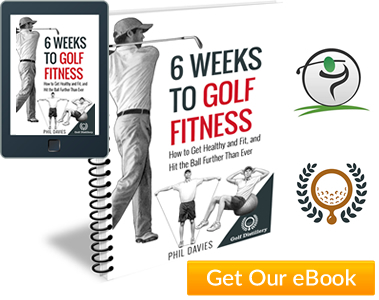 But the chances of catching the ball thin or fat is high and the price for getting it wrong is probably double bogey at best for most mid-high handicappers. This chip shot really epitomises the kind of decisions that club-level golfers face and the options they typically go for. 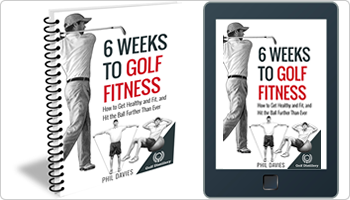 Golfers are faced with a lot of tough shots on the course that offer a potentially high upside if pulled off but a very low chance of realising those upsides and a high penalty for getting it wrong. 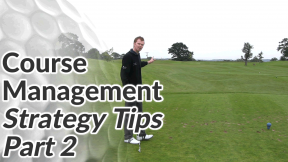 In a practice round or a social game with friends these high-tariff shots are a bit of fun, but if you’re aiming to shoot the lowest scores you can and reduce your handicap (especially over the course of the season) you need to change your strategy. As a rule of thumb, if you’re not confident of hitting a high-tariff shot as you’d want to 80-90% of the time, choose a safer shot option. 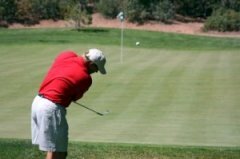 In the case of this chip shot, I could take a lower lofted club like a 9-iron and aim for the back of the green. Or I could take a putter and play to the front of the green, accept I’m not going to get close to flag but give myself an outside chance of par and a very good chance of bogey (bogey is probably what I’d make on more occasions than not with the high-risk shot anyway). Remember, this is a strategy that pays greater dividends over a longer period of time. Yes, you might pull the odd par out of the bag using the high-risk option, but over the course of a season your average scores, and therefore your handicap, will be lower using a more conservative approach. Finally, this strategy doesn’t just apply to chip shots over a bunker. For example, if your ball is sitting down in heavy rough, rather than taking the longest club you think you can get away with, take a wedge. Aim for the shortest route to the fairway instead of trying to steal more yards by taking the tightest (and riskiest) line to the green. 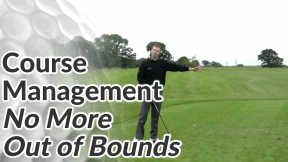 Bogeys aren’t destructive to most club-level players – double and triple bogeys are!